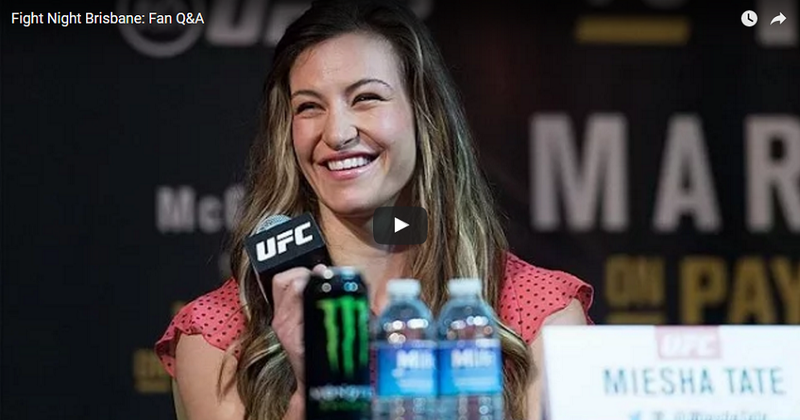 Following today’s UFC Fight Night 85 weigh-ins, you can watch a live Q&A women’s bantamweight champion Miesha Tate, as well as UFC featherweight Dennis Bermudez and middleweight Robert Whittaker. The Q&A takes place after the weigh-in festivities, and the fighters are expected to be on the stage shortly after 7 p.m. ET (4 p.m. PT).